Now-a-days it has become a common phenomenon of merging of big groups or companies. 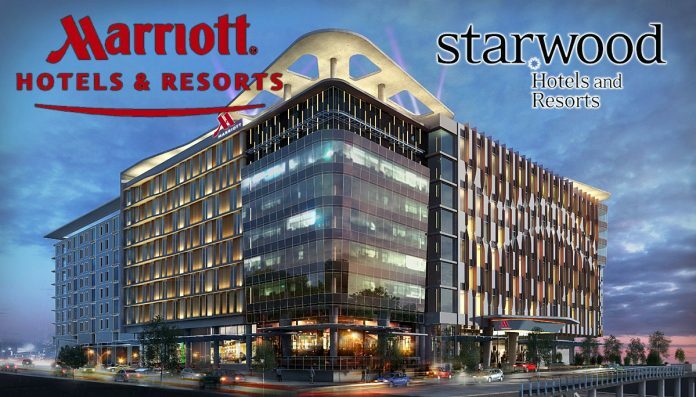 As a part of the same trend, Marriott International and Starwood Hotels have come together and agreed for a merger. The loyal customers are however benefited by this merger as they will get some of the benefits announced. After acquisition of Starwood Hotels and Resorts, Marriott International has now became the largest hotel company in the world. Almost it took one year from the date of announcement of merger. The $12.2 billion deal has made the company to have more than 5,700 hotels with 30 brands in its belt. This also now enables Marriott International hotels presence in 110 countries and facilitates 1.1 million rooms for the customers. Coming back, the benefits to the loyal customers will be continued. The merging Starwood hotel customer’s subscriptions and loyal points will be linked to Marriott Group. Before the merger, Starwood Preferred Guest (SPG) after linking can now redeem or continue to earn the points as before. Mr.Sorenson is made Head for the newly merged hotel group and look after the operations. However, the benefits will not be delivered to the loyal customers immediately. This step is taken as a part of overcoming the practical issues that prevail in the after merging operations. With the final node from Chinese regulatory authority the merger process has come to an end. Anbang, a Chinese insurance company has been the major contender for the bids place regarding the Starwood merger. It is good to know that at last the November 2015 started merger process has come to an end now. Finally at present, the Marriott has now St. Regis and W Hotels under its sleeves.